With an oval shaped top, our Amish Carona Oval Sofa Table will add a unique look to the spot behind your sofa, or against a wall in the living room, hallway, or entryway. 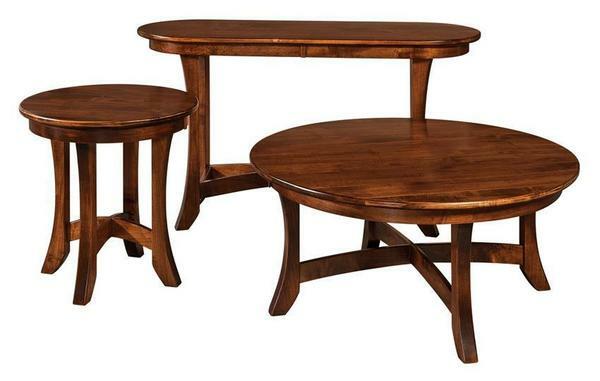 Other features of this accent table include curving X-base design, steam bent aprons and splayed legs. Shown in brown maple with FC7992 Asbury stain.